it is a great weather here. The weather is actually so nice, that I had to take 4 day vacation last week. It was a paragliding vacation placed in Italy, Basano. It was my first proper flying with the "Factorio" paraglide and the experience was extra fantastic. I was able to turn off the programming/Factorio part of the brain for the time, which is very hard to achieve usually. This allowed me to recharge and clear the head so I can work on Factorio with the full enthusiasm again. Alberts to-do list is very tight these days, but it didn't stop him from expanding it voluntarily. The trees are completely redone for 0.12. The main difference is, that the tree graphics has separated leafs and trunk. This allows us to have progression levels of the tree from healthy to just a naked trunk. 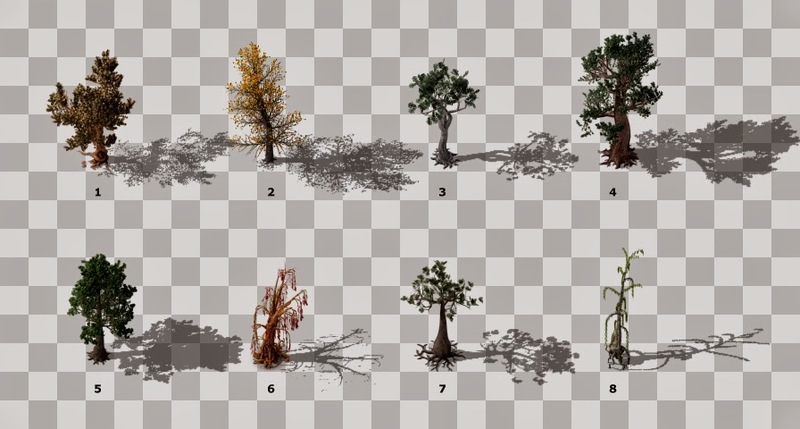 It also allows us to use different colors for one tree variant, which helps us to save the graphics requirements. Another advantage of it is, that we can play with the color of the leaves as the game progresses. 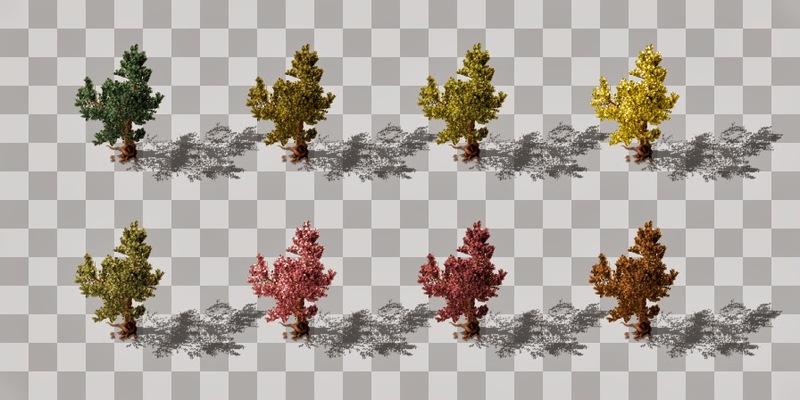 We plan to make a rule, that high pollution levels can make the tree not only loose some leafs, but it can also change the leaf color towards grey. This is one of the first steps towards the environment destruction we would like to see in the game. The tree destruction and mining were also tweaked. The tree emits leaf particles (of the same color as the tree) whenever the player hits it with the axe. When the tree is destroyed or mined, it leaves a stump and different kind of branch particles. This is much cheaper (graphics memory wise) than having separate animation of the tree falling down, but the feeling of the game interaction is enhanced a lot. The release automation is finally finished. The proverb "Everything takes longer than expected" applies here as well. The small touch is the special icon of the FactorioBot user on the forum. He will automatically make the release posts and move bug reports from "Solved for the new release" to "resolved". The programming part of the concrete tiles building/removing is finished. Albert is now working on the graphics tile-set. The concrete is made out of stone + iron ore (cement) and water. I was actually trying to investigate how cement is made, which brought me to a youtube video that contains a machine looking very Factorio-like. This machine tempts me a lot to put some specialised machine (for the cement->concrete creation) into the game instead of just using the assembling machine again. Considering the huge to-do lists of everyone, it will most probably not make it to 0.12, but it might be done for 0.13 as we really need some new machine type with slightly different mechanics.